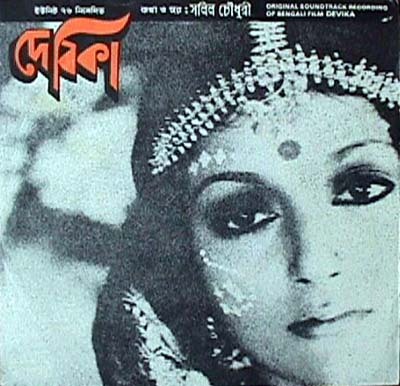 According to the film titles display the singer of the beautifully performed classical song "sumaru tore" for the title music is the famous classical singer Prosun Banerjee. I don't know if this song was composed by Salil or it is a pre-recorded song of Prosun Banerjee. Yesudas is an exceptionaly gifted and highly trained singer and everybody knows Salil's weekness or rather preference for Yesudas in his Hindi and other language films. What I can't understand is why Salil used Yesudas to sing "aar bujhite paarinaa". This beautiful Bengali song was completely murdererd by Yesudas with his atrocious Bengali accent. Although the song is portrayed as a sad song in the film, I wonder how many people in the audience didn't laugh. Salil could easily have used Sagar Sen who already sang one song in this film with Sabita. Incidently, Antara re-recorded Song# DB4 later in the 90's with wonderful arrangement.